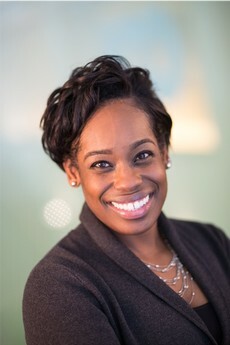 Michelle Spencer is the Associate Director of the Bloomberg American Health Initiative and an Associate Scientist in the Department of Health Policy and Management. She provides programmatic and strategic oversight for the implementation of the Bloomberg American Health Initiative. Spencer has over 20 year of experience in public health management and leadership and a wealth of experience in administrative and operational management, strategic planning, resource management, and policy development. Prior to joining the Bloomberg School of Public Health, Spencer served as the Director of the Prevention and Health Promotion Administration at the Maryland Department of Health and Mental Hygiene (DHMH), where she worked to address the preventable nature of public health challenges through integrated, evidence-based approaches. Spencer oversaw DHMH's core public health programs, including Maternal and Child Health, Infectious Disease Epidemiology and Outbreak Response, Infectious Disease Prevention and Health Services, Environmental Health, Primary Care and Community Health, and led the Maryland Health Enterprise Zones initiative, a place-based initiative focused on designing and implementing strategies to reduce and eliminate health disparities. Spencer served as Chief of Staff of the Baltimore City Health Department from 2004 – 2012.